THE CLUB WITH RIDES EVERY DAY OF THE WEEK! 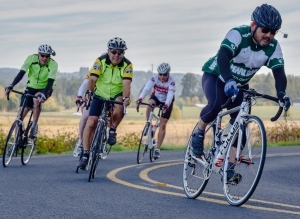 The Portland Wheelmen Touring Club was founded in 1971 to promote cycling and to provide a social organization for bicyclists. Boasting over 600 members, the primary focus of the club is recreational riding with up to two dozen rides being offered on a weekly basis, including rides every day of the year and many evenings. Rides are listed on the online calendar. Area bike shops receive informational brochures. We are a Non-Profit 501(C)3 organization, supporting safe cycling and programs for youth. PWTC welcomes riders of all abilities. The annual membership includes a monthly newsletter, discounts at 14 area bike shops, access to the club’s Ride With GPS membership, and is a great way to network with cyclists in the area. To join, register online, or print out this Membership Form, complete it, and mail it in. 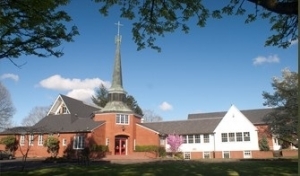 Our meeting is held the first Thursday of the month at 7:00 p.m. at All Saints Episcopal Church, 4033 SE Woodstock Blvd., Portland. Map Come out and hear great presenters on bike-related topics and learn first hand about all the new initiatives of the Club. Bicycle safety is a priority of the Portland Wheelmen Touring Club. CLICK HERE for important articles on different aspects of bicycle safety. Go to our WEBSITE TIPS page to find articles on how to navigate the PWTC website, including how to add a ride calendar icon to your smartphone.